MERRY-MAKERS in the capital will this Saturday be able to judge if Zimdancehall still rules on the local music scene. An array of artistes of various genres like Zimdancehall, hip hop and Afro-beats will share the stage at the Rainbow Towers Gardens at the dubbed Summer Slam bash. It remains to be seen which of the three genres will win the hearts of revellers when the different acts take on the stage to entertain. Dancehall heavyweights Seh Calaz, Hwindi Prezident, Kinna, upcoming chanters Boss Pumacol, Bazooka, Uncle Epatan and Enzo Ishal that are making ‘noise’ on the popular “Panomhanya munhu” riddim will represent dancehall. Urban grooves’ last man standing Ex Q, who has embraced the trending Afro beats sound will represent Afro beats. The move has revamped his career and has seen him chaining out hit songs since the strategic move. Ex Q is currently riding high with hit filled album titled “Tseu Tseu” that carries songs like Tsvigiri, Musikanzwa, Let’s talk about it, Nhema, Pahukama and Nzenza among many others. Takura is the dominant hip hop artiste in the country at the moment and will represent the underrated but very capable genre. 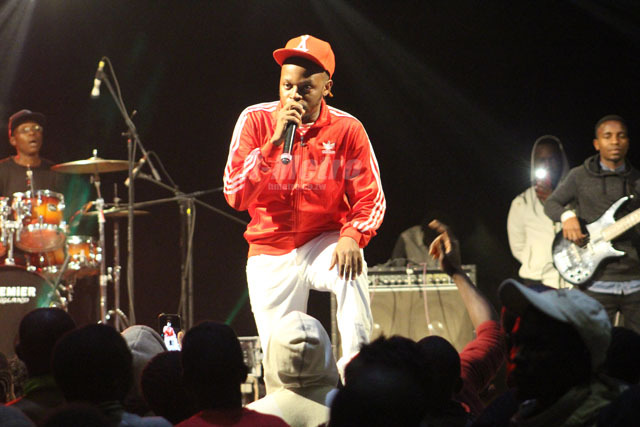 Zimdancehall has been ruling the local music scene over the past few years but over the last year or so the genre has faced stiff competition from these other genres like afrobeats and hip hop that are tremendously gaining momentum. The show also features emcees Merciless, Tats top wheel-spinners like L-Roy, Mbale, Burtla and Selekta Gibbs among others sharing the decks.